Whether you’re heading to Capri for an extended stay or just for the day, you’ll be faced with the same question: what’s the best way to get out to the island? There really is only one way to get to Capri, and that’s by boat, which entails taking either the ferry or the hydrofoil. As most visitors heading to Capri leave from either Naples or Sorrento, we’ll focus on how to get to Capri from these two departure points. The single best piece of advice I can give you for making this trip is to forget about the ferry and stick with the hydrofoil. The ferry may be larger and able to accommodate more passengers, but it takes about 80 minutes to get to Capri from Naples. For a few extra dollars the smaller and much faster hydrofoil cuts the trip time almost in half, and as the goal is to actually spend as much time as possible on Capri the fastest method of getting there is the way to go. 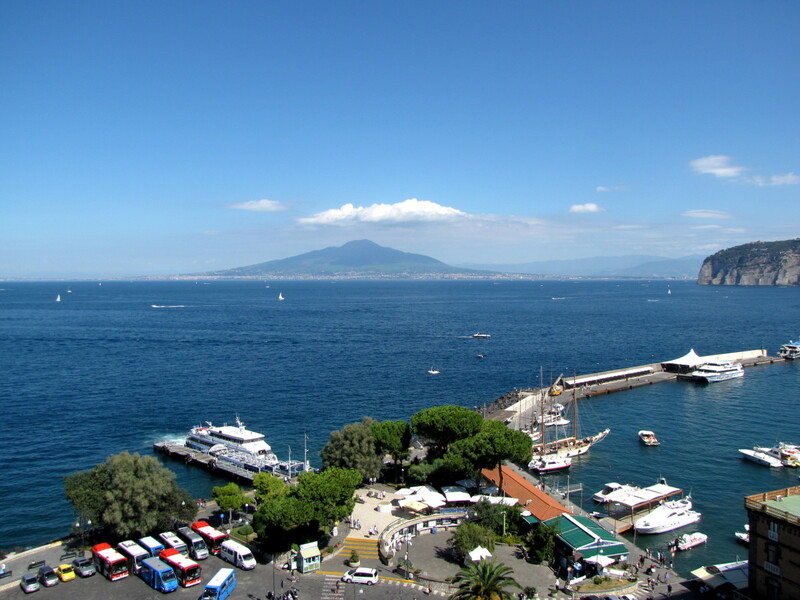 If you are leaving from Naples there are two ports from which to catch boats to Capri. The ferries (slow boats) leave from Calata di Massa while the hydrofoils (fast boats) depart from Molo Beverello. As I am very partial to using the hydrofoils we’ll take a look at how and where to catch the fastest ride to Capri. 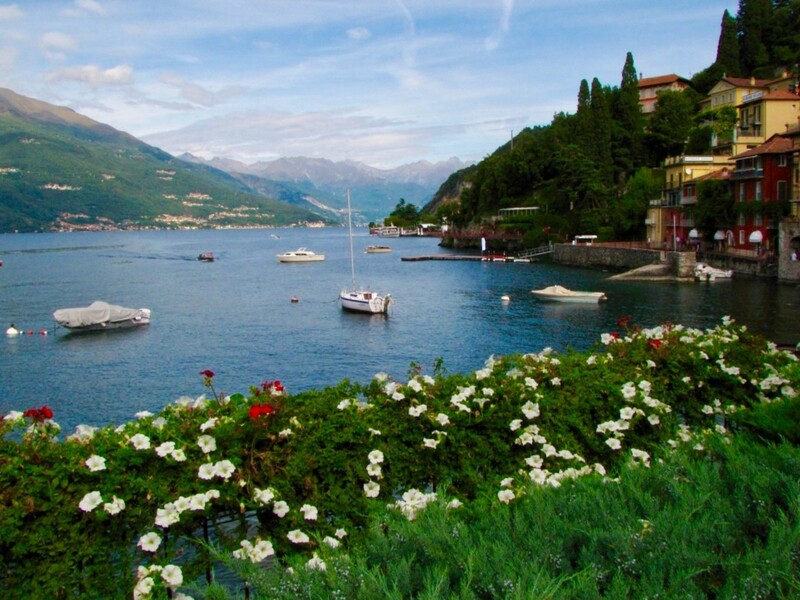 Molo Beverello is located very close to the cruise ship port and directly across from the city’s Maschio Angioino Castle in the Piazza Municipio. If you are arriving in Naples from a cruise ship, this is good news as you will have just a five to fifteen minute walk to the Molo Beverello building depending on exactly where your ship docks. If you are arriving from elsewhere in Naples simply head for the Piazza Municipio. 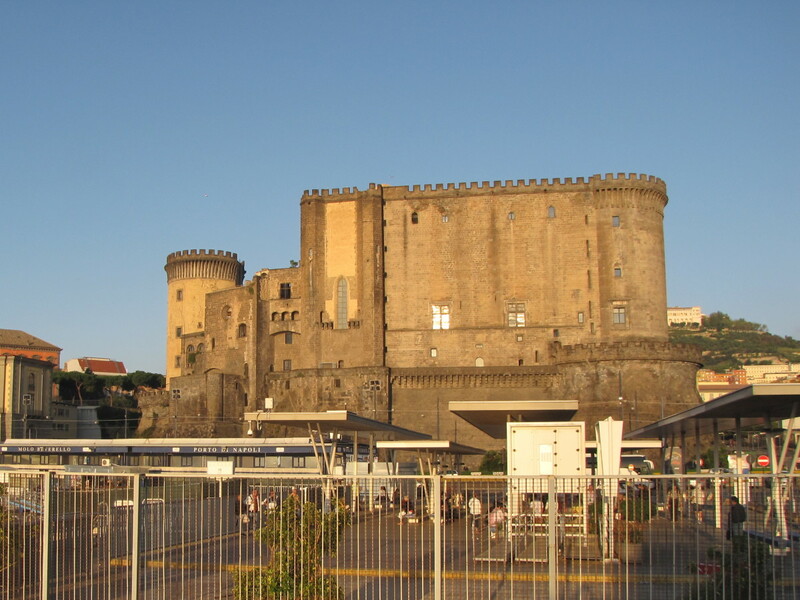 Molo Beverello is a long rectangular building and is located just to the left of where the cruise ships dock as you are facing Naples. Again, as a reference point look for the castle, you can’t miss it. Once you locate Molo Beverello, if you are facing the building with the Bay of Naples behind you, you want to go around the right side of the building and look for the window that says hydrofoil to Capri tickets. Be sure to bring euros with you as they do not accept credit cards. Times and prices are subject to change depending on the season. Check the official web-site when doing your planning your trip. Once you have purchased your tickets you will go around to the other side of the building where you are now facing the Bay. To the left you will see an electronic display board that should show you the hydrofoil departure times and the dock from which they depart. Locate your dock, they are numbered, and don’t worry if the hydrofoil is not there yet, they come and go very quickly. 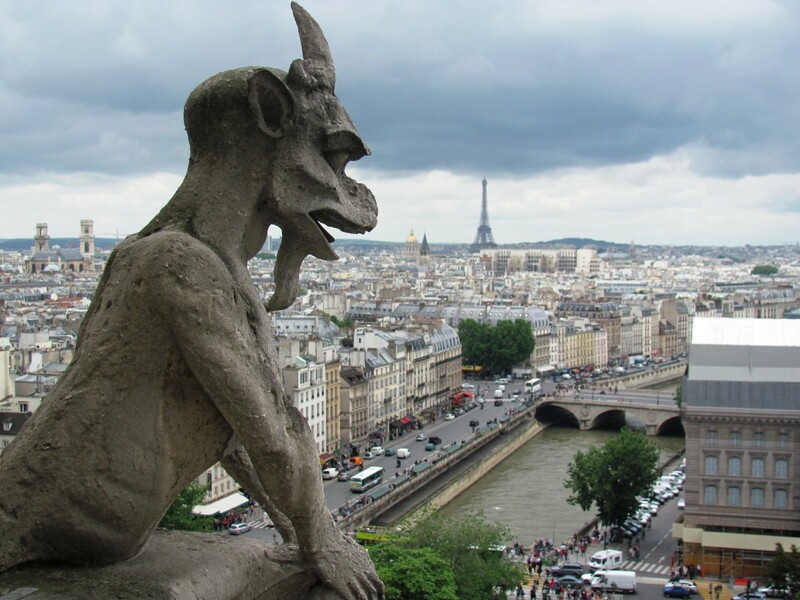 While you are here keep an eye on your belongings, with so many tourists gathered in one spot this area is notorious for pick pockets. Tickets on the hydrofoil from Naples to Capri cost about 20 euro for a one way ticket and about 40 euro for a round-trip ticket. There is no discount for the round-trip ticket. The ride takes about 45 to 50 minutes. Most cruise ships arrive in Naples early, ours docked at 7am. 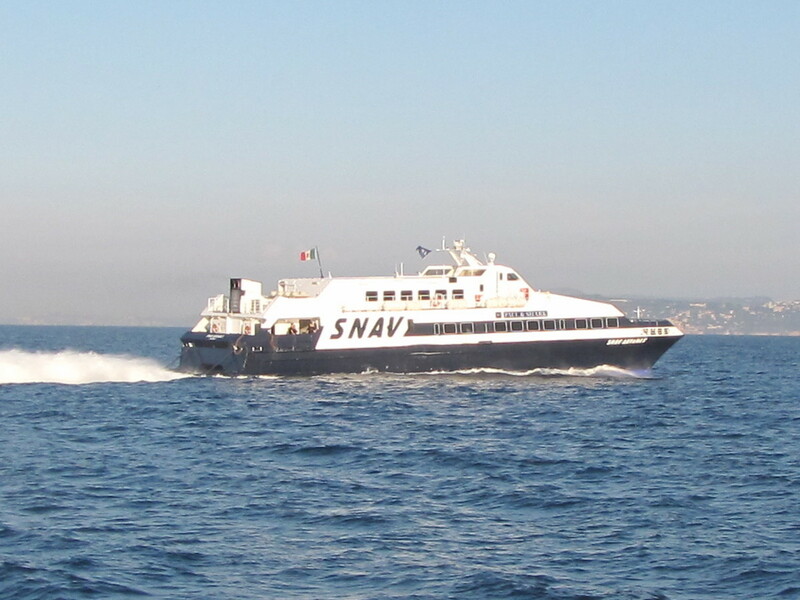 To maximize your time on Capri you should plan on getting on the 8:05 or 8:35 hydrofoil. Give yourself a good thirty minutes to leave the ship and get to Molo Beverello to get your tickets. 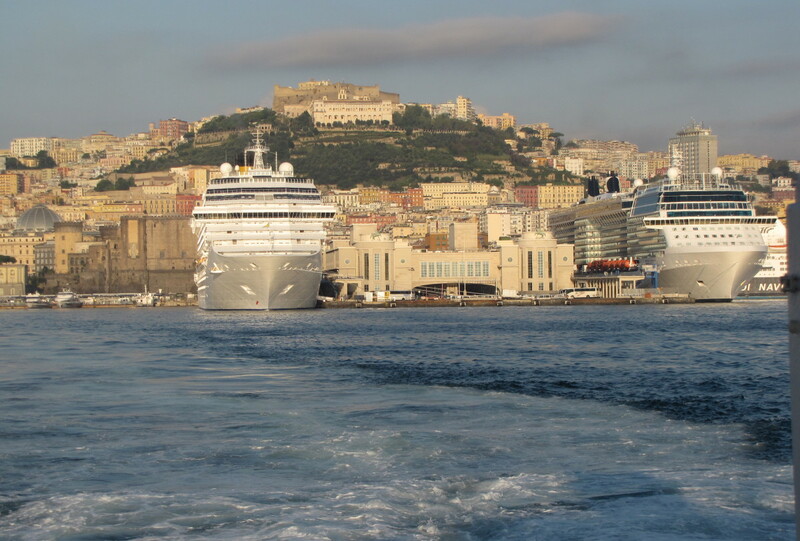 Remember that the port of Naples can accommodate up to five cruise ships daily and each hydrofoil can hold just 250 passengers. If you are departing from Sorrento then you will be leaving from Marina Piccola. The trip is just 20 to 25 minutes on the hydrofoil and during the peak summer months crossings are very frequent, every thirty minutes or so. The ticket office is located at the bottom of the hill coming from Piazza Tasso in Sorrento and just in front of the docks, you can’t miss it. You can walk down the road from Piazza Tasso or there are steps that will lead you down the hill. Departing from Marina Piccola is not quite as busy and hectic as it can be leaving from Naples but you’ll still want to arrive about thirty minutes prior to your departure time. A one way hydrofoil ticket from Sorrento to Capri will cost about 18 euro. For a round-trip ticket the cost will be about 36 euro. Times and prices are subject to change depending on the season. Check the official web-site when planning your trip. This is the Winter schedule, Summer schedule starts around Easter. 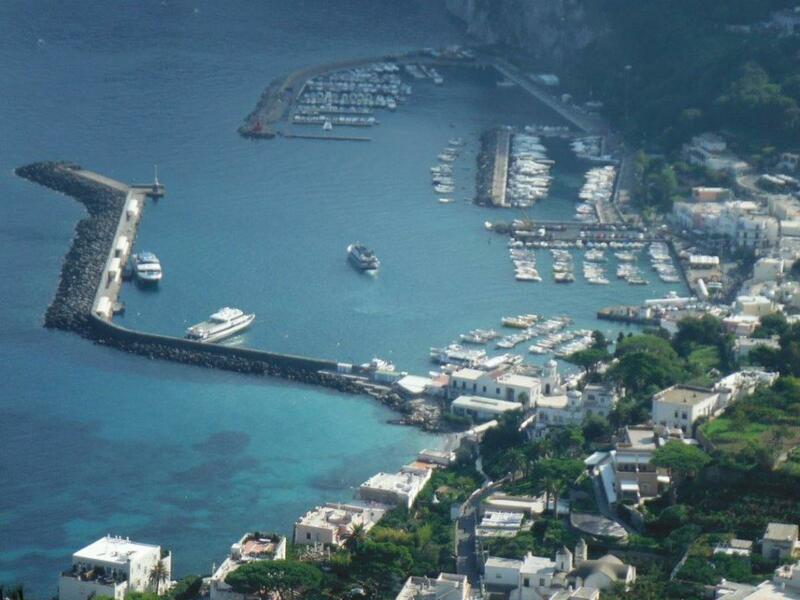 All ferries and hydrofoils arrive in Capri at the same location, Marina Grande. Once you arrive you will have to walk along the pier to the center of the port area and from here you have a few options. If you are heading up the hill to the town of Capri, you can either take the funicular, a bus, or a taxi. The other option is to head to Annacapri on the western side of the island via bus or taxi. 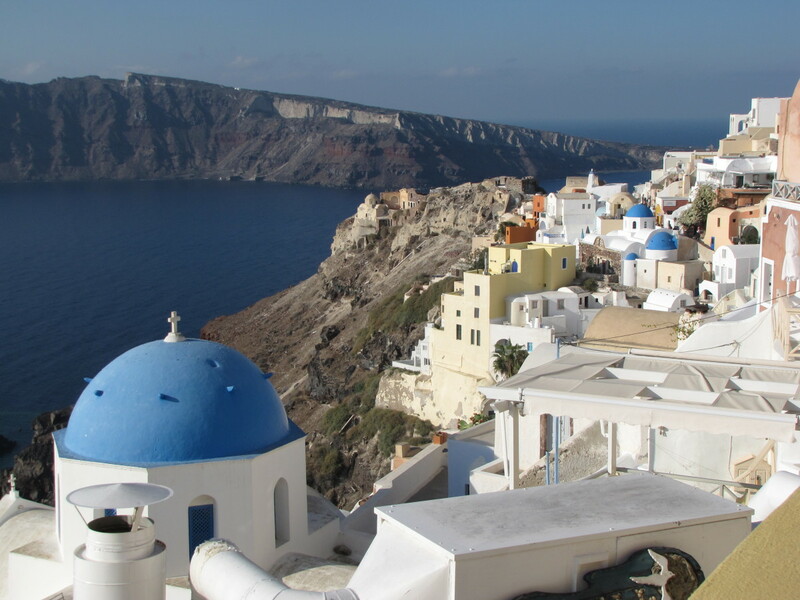 If you have a boat tour of the island scheduled then you are in the right place as most tour outfits are located right here in Marina Grande. 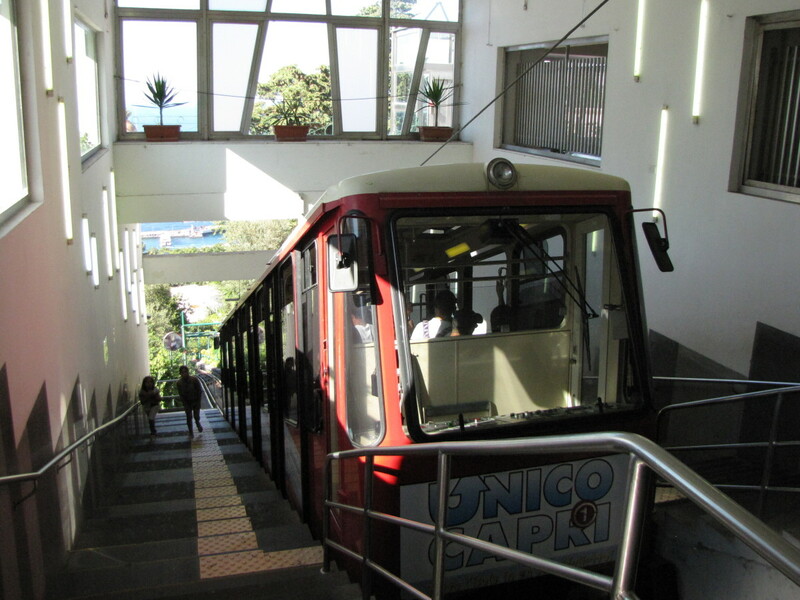 The funicular will take you up to the town of Capri and takes just five minutes, but you must first purchase a funicular ticket. As you exit the long walkway from the hydrofoil/ferry the ticket office is located just to your right. The funicular cost about 2 euro each way and they leave every fifteen minutes or so. The funicular is located just across from the docks as you exit the pier. 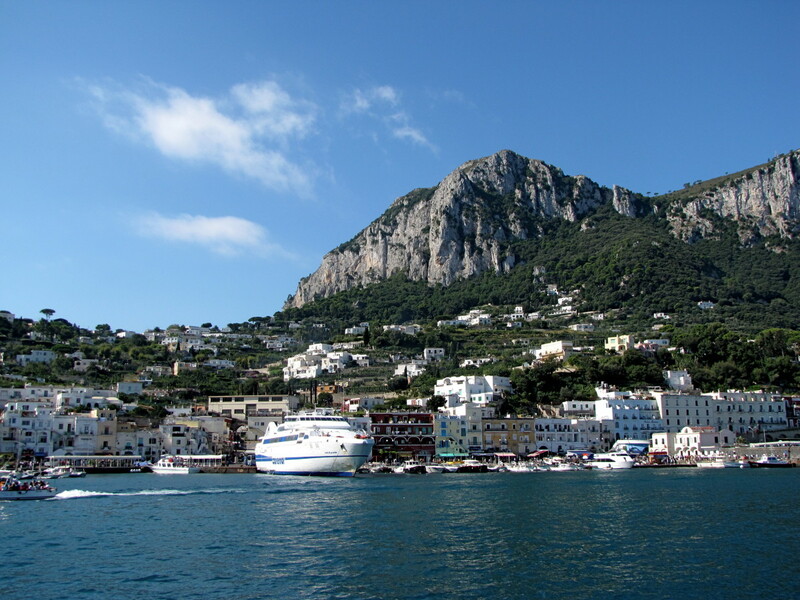 Taking the bus will take a little longer, about ten minutes to Capri and twenty five minutes to Annacapri. The buses can get crowded, especially during the peak months. Also, these are not full size city buses but mini buses. As you make the ride up to either Capri or Annacapri you will see why there are no city size buses here, they simply would not be able to maneuver the winding narrow streets. The other option is to take a taxi. This will take somewhere between five to ten minutes to get to Capri and will usually involve some negotiating with the driver. Expect to pay between 15 and 20 euro depending on how many people and if you have luggage. If you are heading to Annacapri a taxi will run you 20 to 25 euro. 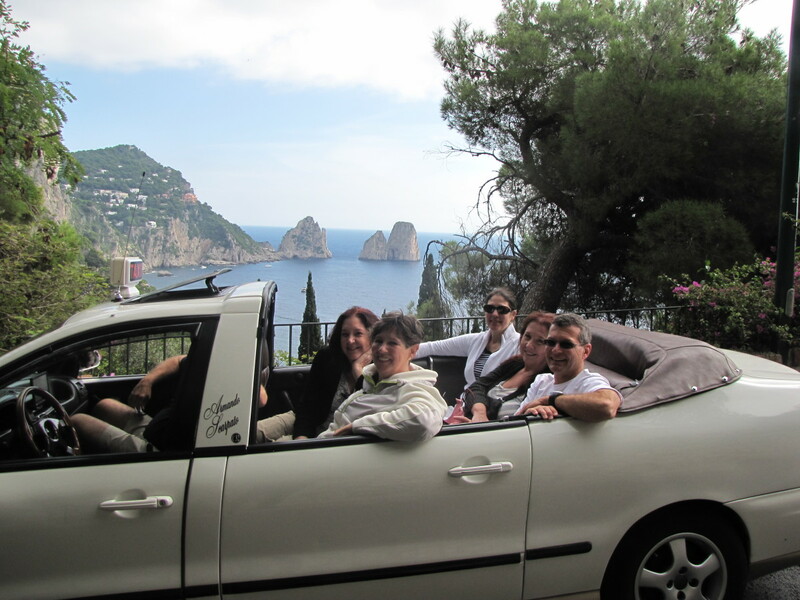 I will add that taking a taxi on Capri can be a fun experience. Most of the taxis are open top models and are in excellent condition. It makes for a unique and fun way to get around the island. A visit to the Isle of Capri is a must do on any trip to this region of Italy. Whether you're here on an extended tour of central Italy or visiting for a day on a cruise ship, Capri is worth the effort. 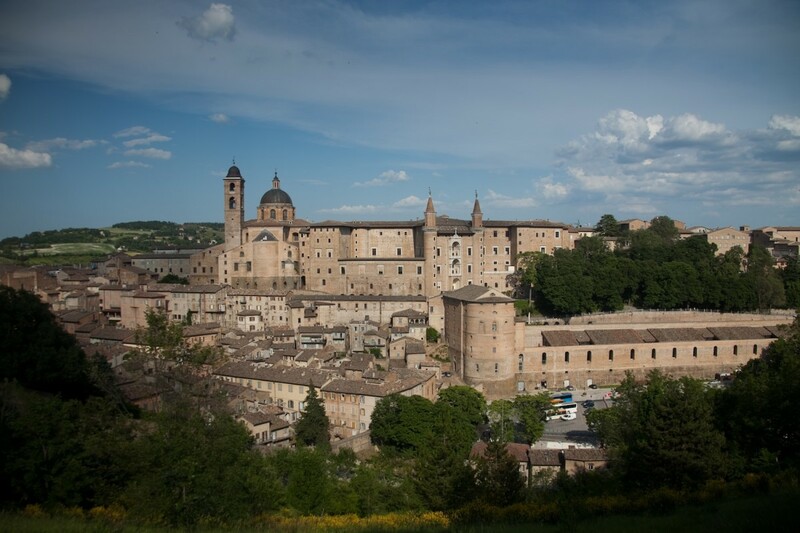 Not only is it just a fun place to be, but it's beautiful and has some of the most dramatic scenery in all of Italy. 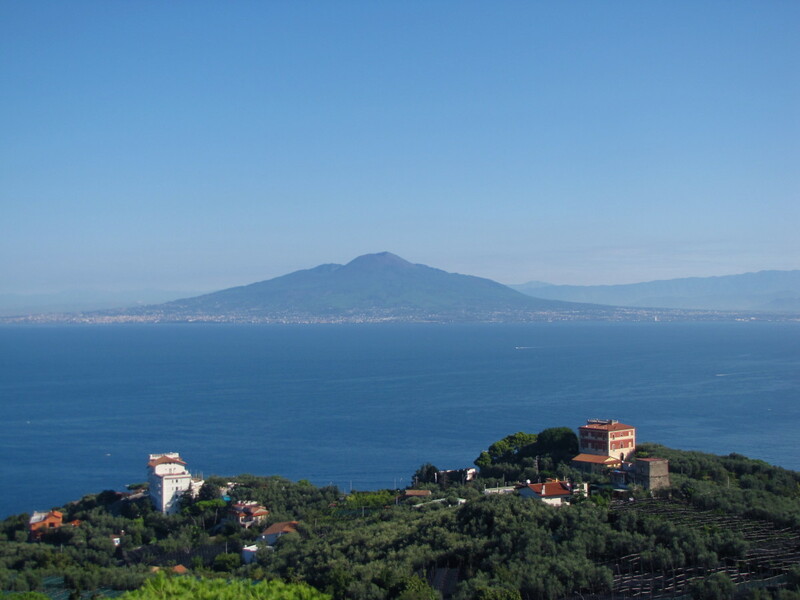 No visit to this isle is complete without a trip to the top of Mount Solaro. 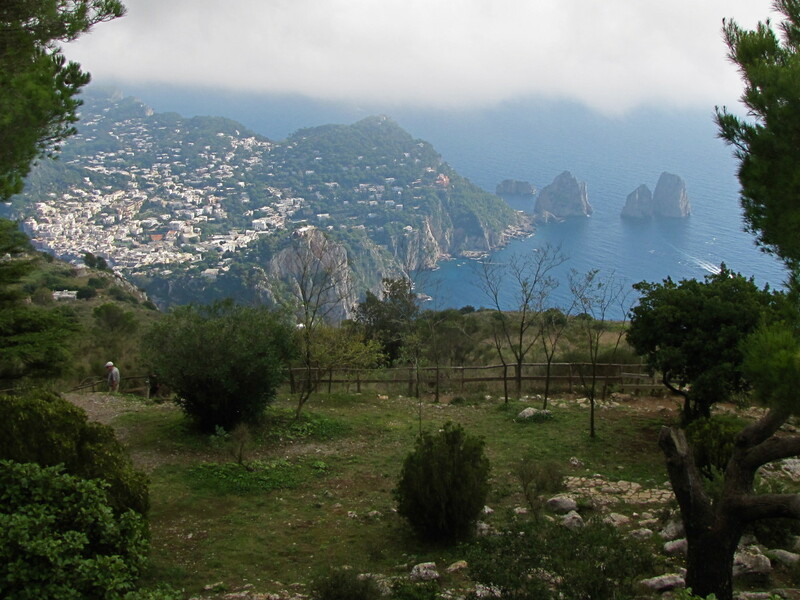 For the best views of the island take the ride on the Mount Solaro chair lift to the top of Capri. 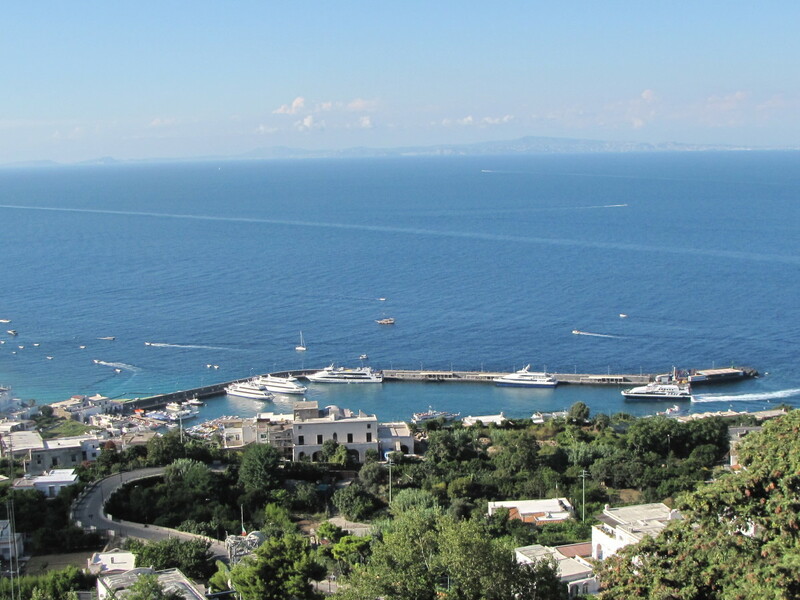 Is it really possible to take the ferry early from Sorrento to Capri? Then do Blue Grotto and take the bus to Anacapri and then the chairlift? Or is that itinerary just a lot to pack into the day? Is it best to do the grotto first then chairlift or reverse? I think you can fit all that into a day. The early ferry leaves for Capri by 7:15 am. If you do the Blue Grotto first you are pretty close to Anacapri so I would definitely do that next. The chairlift is wonderful and the view from the top is stunning. 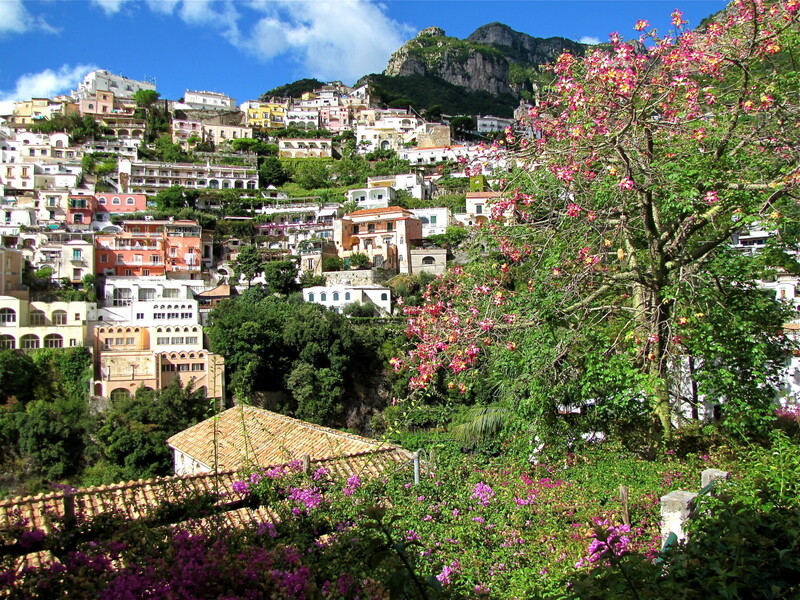 When done in Anacapri take the bus to Capri to explore and visit the Gardens of Augustus. You definitely have time to do all of this in a day. The last ferry back to Sorrento leaves at 7 pm. Good luck, Capri is definitely worthy of a day, it’s beautiful. Hi Mario. From from I gathered from the ferry website, non resident vehicles, including scooters, are only permitted on the island during the non-peak time from early November through Easter. From Easter until the first week of November they will not allow you to take a vehicle to Capri. You can rent a scooter once you get to the island. If you are going to be there before Easter I would say you are good, otherwise you may be out of luck. Great info ! Thank you for sharing. I would like to know if we can get there by scooter as during our stay in Naples we will have one. Hi Mary, thanks for stopping by. Capri really is a wonderful island with lots of history and amazing views. 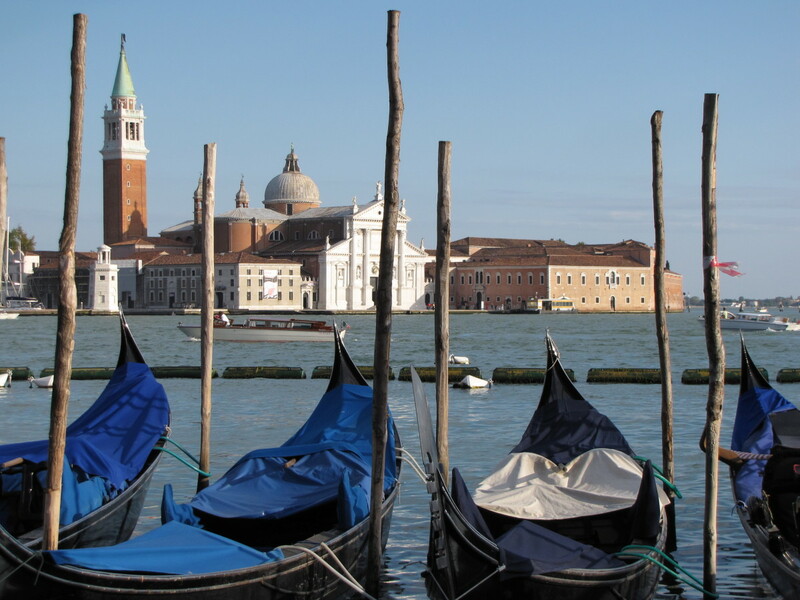 It's the perfect place for a day trip from either Naples or Sorrento. I hope you get there soon. Ciao! Great info to have - dreaming now, but someday I am hoping my husband and I will travel there. Thank you for sharing this hub. Cheers! Hi mylindaelliot. Thanks for stopping by. I hope you get there someday also. Have a great weekend. Thanks for the information and advice. I hope to go there at some point. Hi Linda, Thank you. I just try to apply what I've learned from visiting these places and hopefully it helps someone have a positive and stress free experience. I know that traveling in a foreign country can cause a certain amount of stress especially if you don't know the language and are unsure of how to best get around. As always my thanks for your support. Have a wonderful Thanksgiving. There are so many practical details in this hub, Bill. It's a very useful article and a wonderful reference for someone planning to go to Capri! The photos are beautiful, as always, and make a lovely addition to the hub. Hi Joelle. Thank you. Hopefully you enjoyed Pompeii, another wonderful site in Italy. If you ever get back to the area head out to Capri, its beautiful. Thanks so much for the kind words. Have a great week. Thank you for sharing all that useful information with how to get to the island, schedules, ways to get around the island and prices! Seeing the map I realize that I was not to far from that island a few years ago when my husband and I visited Pompei. I wish that you have a lot of visits on your hub because they are well done and very useful for potential visitors to those different places! Have a great week, Bill! Hi FA. Thank you. Glad you enjoyed the trip to Capri. It's such a beautiful place that we actually went back for a second visit. Have a great day and thank you for the vote, pin, etc. Hi Bill. Thank You. We have actually made this trip twice so I thought I knew enough about it to write and informative article. Hopefully it helps other folks thinking about visiting Capri. Have a great Sunday. Hi Mary. Thank you. Yeah, the hydrofoils are pretty large and they go very fast. The ca was great, we had a lot of fun with the driver tooling around the island. Thanks so much for the vote, share, etc. Have a great day. Such an amazing travel hub with specific, helpful advice and information. And those pictures are breathtaking. You are a very talented writer who does not disappoint. Voted up +++ and pinning. Your travel photos are so amazing! When you first said hydrofoil I was a bit nervous till I saw your photo and the size of it. I have to agree with Linda, cool cab. Imagine even trying to compare that to an NYC cab!! Voted up, useful, awesome, and interesting. Shared too! Hi Linda. Thanks. Isn't that cab cool. We loved it so much we decided to hire the driver for the whole day to drive us all over the island. It turned out to be a great decision. Many thanks for the visit. Have a great day. Hi Rebecca. Thank you. You are so right, there are so many wonderful places to see on this planet. Capri is certainly one of them. It was beautiful. Thanks so much for stopping by, have a great weekend. There are so many wonderful places on the earth that I want to visit someday. You have added another. I lie the way you organized the info on how to get there. Lovely photos, too!